Make use of those hard to reach limbs, branches, and railings with the Droll Yankees Sky Hook. 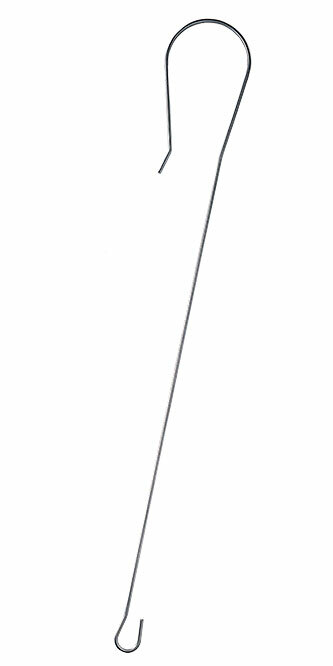 Now you can hang your bird feeders, flower baskets, bird houses, wind chimes, plants, or any other decorative items using this pole's 52" extension. This handy hook supports up to 35 pounds and will hang over branches 6" in diameter. Its aluminum construction keeps it rust-free and prevents discoloration during all your years of use. Take advantage of those high-up hanging spots with this Droll Yankees Sky Hook.